This collection of essays combines historical research with cutting-edge strategic analysis and makes a significant contribution to the study of the early history of strategic thinking. There is a debate as to whether strategy in its modern definition existed before Napoleon and Clausewitz. The case studies featured in this book show that strategic thinking did indeed exist before the last century, and that there was strategy making, even if there was no commonly agreed word for it. The volume uses a variety of approaches. First, it explores the strategy making of three monarchs whose biographers have claimed to have identified strategic reasoning in their warfare: Edward III of England, Philip II of Spain and Louis XIV of France. 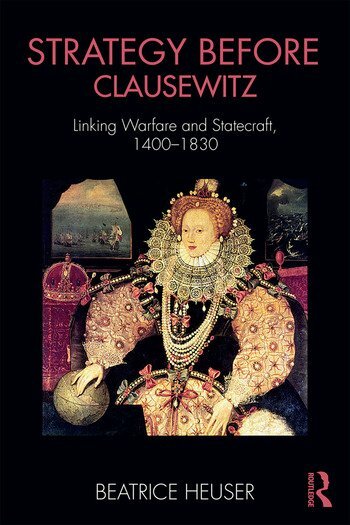 The book then analyses a number of famous strategic thinkers and practitioners, including Christine de Pizan, Lazarus Schwendi, Matthew Sutcliffe, Raimondo Montecuccoli and Count Guibert, concluding with the ideas that Clausewitz derived from other authors. Several chapters deal with reflections on naval strategy long thought not to have existed before the nineteenth century. Combining in-depth historical documentary research with strategic analysis, the book illustrates that despite social, economic, political, cultural and linguistic differences, our forebears connected warfare and the aims and considerations of statecraft just as we do today. This book will be of great interest to students of strategic history and theory, military history and IR in general. 1. Was Strategy Practised before the Word was Used? 7. Lazarus Schwendi, Raimondo Montecuccoli and the Turkish Wars: Peaceful Coexistence or Roll-Back? 8. Guibert: Prophet of Total War? Beatrice Heuser is Professor of International Relations at the University of Glasgow, Scotland, and currently a visiting professor at the Sorbonne and at Sciences Po in Paris. She is the author of many books, including The Evolution of Strategy (2010) and Reading Clausewitz (2002).